Welcome to PROJECT: Service Dog in Training – Chronicling the journey of one puppy prodigy from birth to working Service Dog. We’re not going to have a new puppy until ohh…about February 2019 when Raven has her next litter. So, why are we talking about this now? If you’re planning to get a puppy it shouldn’t be an impulse decision nor should it be something you take lightly. Before we brought home Linus back on January 7th, 2005 I did a ton of research reading books and magazines, talking to friends and family, and yes, I even consulted my good friend Mr. Google. For many years I’ve wanted PuppyInTraining.com to be the definitive resource for anyone getting a new puppy…with a little twist. While some people may just want to learn the basics of training a puppy I’ve had many others ask me what can they do to raise and train their puppy like a Service Dog. That’s where this website is different. We don’t want to teach your puppy to be good. We want your puppy to be GREAT!!! “I have been so interested in dog training the last few years, particularly in the training aspect of raising a service dog, but fortunately, never really needed an actual service dog. I’ve been scouring the web for advise and guidance because I am hopefully going to raise a new puppy (just a family pet) next year but cannot find such information besides the usual obedience training books. Many of them are very helpful, but I’m curious to know what an actual puppy raiser would do. And what they would do differently. Wouldn’t it be wonderful if all pet dogs be raised the same way and grow up to be as well mannered as service dogs? !” –B.E. Your puppy doesn’t have to be a Service Dog to act like one and most of the things we do with our SDiT (Service Dog in Training) are not difficult and are fun activities that help you build a better relationship with your dog. All that being said what exactly is PROJECT: Service Dog in Training? PROJECT: Service Dog in Training is a combination of everything we’ve been doing, learning, and sharing on our blog over the past 10 years. At it’s core we’re going to teach you how to raise and train your puppy like a Service Dog in Training (SDiT). Over the past 10+ years we’ve raised 11 Service Dogs in Training for multiple organizations. During that time I’ve thoroughly read a half dozen puppy raiser manuals, dozens of books on dogs, blog posts, white papers, and various other material about dog training and behavior. We’ve even attended conferences and seminars to further our knowledge about all things dog. On top of all the book work and lectures I’m also apprenticing and working to become a Certified Professional Dog Trainer. My goal in Phase I is to share what I know about raising and training a Service Dog puppy with you, right here on the blog. As I mentioned earlier we plan on getting our next Service Dog puppy around February 2019 and that’s when the real fun begins. The goal of Phase II is to follow the guidelines we wrote in Phase I on how to raise a SDiT. We will keep a weekly Vlog to share what we’re doing with our puppy including his successes and failures. Guys, every puppy is different. It’s very possible that we will have to make changes on the fly. Some puppies advance quicker while others take more time. It’s even possible our puppy will not make it as a Service Dog. There are many great career changed puppies that get adopted and move on to other jobs like Search and Rescue, Therapy Dogs, or Family Pets. Just to give you an idea, we’ve had more failures then successes. Out of the 11 dogs we’ve raised 4 are working dogs, 2 are still in training, and 5 are career changed. This is not uncommon many dogs do not have the proper temperament, health requirements, or flat out just don’t want to work…they’d rather be couch potatoes. Phase II will help me make adjustments to my initial ideas outlined in Phase I. 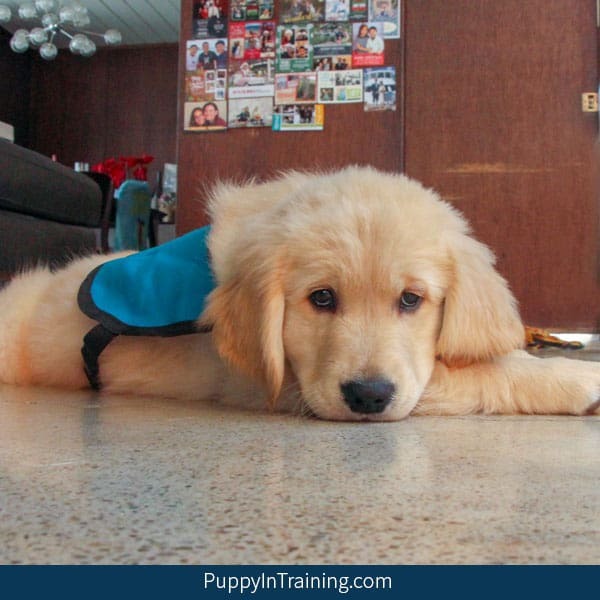 The goal of Phase III is to gather everything we learned from Phase I and Phase II into comprehensive guides to help you raise your next puppy like a Service Dog in Training. Printables – puppy training basics. E-Books – dog behavior and obedience training. And More…tell us if there’s anything you’d like us to produce to help you with your puppy. The Goals of PROJECT: Service Dog in Training? Provide Service Dogs FREE of charge to individuals with disabilities. 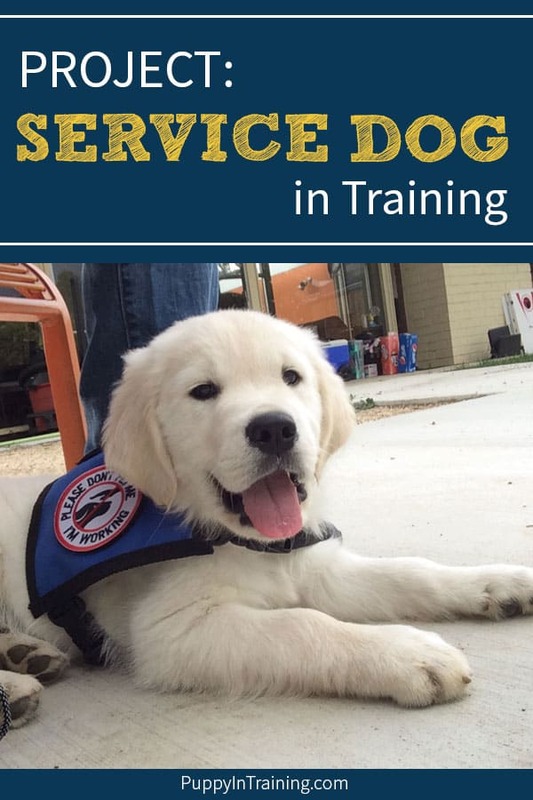 Teach you how to raise and train your puppy like a Service Dog in Training (SDiT). Raise public awareness about Service Dogs and SDiTs. Do you have any questions about how to train a service dog puppy? PROJECT: Service Dog in Training – Your “How to” guide for training a puppy like a Service Dog in Training. I’m excited too! If you think of any questions your might have please leave them in the comment sections of the blog posts that way I can hopefully help others who have similar questions about Service Dogs and training. Puppies training to be service dogs seem like the happiest pups of any. I agree! I think one of the reasons Service Dogs are so happy is because they get to be with their partners all the time. I love these articles on service dog training. Plenty more blog posts about Service dogs coming soon! Stay tuned. Wow! This program sounds fantastic! Are you going to charge for the materials and information? I think having a pet that is well mannered like a service dog sounds like a dream come true! Thank you for the continued information. I love you blog and reading about your cute pups! I can’t wit to read all about how to train a service dog puppy from birth. I’m sure I will learn a lot about where we went wrong when training our puppy who is now fully grown. I hope we can still train our dog to be better behaved with your suggestions. Every time I raise a puppy I learn something new! 🙂 I think one of the big things is like Nike says: “Just Do It”. I always hold the Service Dog puppies to a higher standard then my own dogs. Change your mindset, have rules and boundaries, and be consistent, persistent, and patient with your dog (I’m speaking to myself about Stetson and Raven). This is exciting. I want a new dog but I want to make sure he/she is well mannered. Of course I do want him to bark when necessary. Can’t wait to hear more! I agree on the barking. I want my dogs to bark a little for protection. We’re working on letting Raven know when it’s okay to stop barking.